It is a custom of Sinhala society to say that evil has fallen in the head of the temple in search of the good for the benefit of the good. An equivalent incident happened two or three days before the Iranamadu president. The construction of the Iranamadu pond started in 1906 and completed in 1922 and then started the irrigation work for the area. In 1954, Sri Lanka's first Prime Minister, Senanayake's order was renovated by then agricultural minister Dudley Senanayake and was handed over to the people in 1954. For this purpose, the land development minister Pulungalame Tissa, The memory board marked by the name of Senanayake and Dudley Senanayake came from there until recently. Then in 1975, once again the reconstruction was done. Rehabilitation of the Iranamadu tank, which started in 2015 after 40 years, was rapidly underway. The old memorial board, which was installed on 54th year, was removed from the post of the Director of Project Rehabilitation Project in February 2017, due to the bridges constructed as part of extensive renovation work. 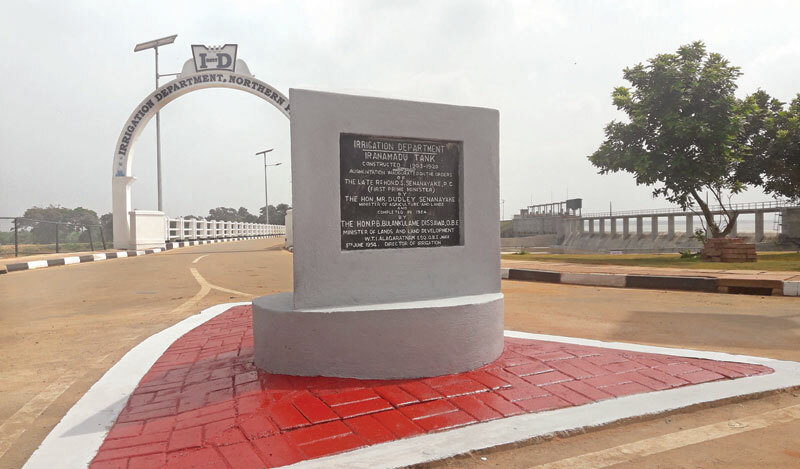 The new memorial board was unveiled by President Maithripala Sirisena last Friday due to the completion of the new reconstruction work and handing it over to the public for the benefit of the water level. There was no mention of the removal of the old memory board there. After the event, however, some media outlawed the reputation of the presidential reputation to distort the remnants of the old memorial board for the establishment of a new memorial board in the name of President Maithripala Sirisena. The President immediately contacted the Governor of the Northern Province to the President of the Tamil Media Department of the Presidential Media about the issue in the media yesterday evening and ordered the old memorial board to be established again within 24 hours. The media industry is referred to as the guard dog, as it is the guardian of society and bringing the truth to the fact that the society is fading away. If the media and the relevant staff are acting honestly, then this event is an example of good for the country.